Keeping in mind clients’ diverse requirements, we are engaged in manufacturing and supplying an extensive range of Hand Sleeves. The range offered by us includes Thumb Cut Knitted Hand Sleeves, Knitted Hand Sleeves Long, Leather Hand Sleeves, Asbestos Hand Sleeves, Knitted Hand Sleeves, Leather Ribbon Hand Sleeves and many more. We have made our range by using advanced technologies and qualitative raw materials. We are offering an exclusive range of Leather Ribbon Hand Sleeves in industry. We manufacture and supply our range after testing them on well defined quality parameters, ensuring utmost client satisfaction. Clients can avail our range in varied finishes, colors and designs. 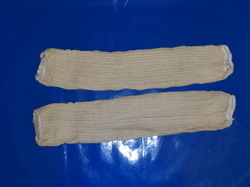 These hand sleeves have high tensile strength and durability. 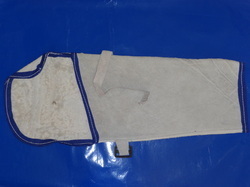 We have used pure and optimum quality leather in fabrication of these sleeves. We are dealing with the most unique designs sleeves having a attractive colors in various categories. 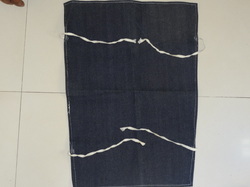 Jeans Hand Sleeves are very light in weight and have a dynamic finishing around its corners. These are the products which are used mostly by the females. LongKnitted Hand Sleeves are made by the very soft woolen and make you feel very cozy while wrapping it tightly. It's woolen are always wash in a cool water. We are one of the most eminent manufacturers and suppliers a broad gamut of Hand Sleeves that consists of Knitted Hand Sleeves that are made from the finest grades of raw material and are disposable. These have outstanding flexibility and offer seamless protection for hands from hazardous substances. 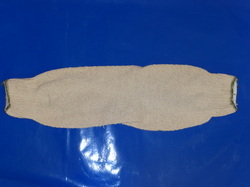 These are widely used in various industries and are appreciated for their unique features. We use high end technologies and maintain stringent norms of quality by adhering to the set industry standards. Our range of hand sleeves also includes Thumb Cut Knitted Hand Sleeves, Knitted Hand Sleeves Long, Leather Hand Sleeves, Asbestos Hand Sleeves, Leather Ribbon Hand Sleeves and many more and is available at industry leading rates.